You know when you “meet” someone and you instantly connect, as if you’ve been friends forever? That’s Chloe, of Boxwood Avenue, for me. So when she agreed to start sharing some of her brilliant recipes, DIY projects, fun facts, tips, tricks and the like with you guys, I couldn’t contain my excitement. The girl has talent seeping out of every orifice and I challenge you to not fall in love with her like I did. Enjoy! Hi Lark & Linen readers! My name is Chloe Mackintosh, I am the gal behind Boxwood Avenue; a website sharing DIY projects, unique recipes, and modern farmhouse living. I am a city girl relocated to a cattle ranch, and have adapted to simple living by putting my creative juices into sewing, cooking, and crafting. I am here today to give you a little taste of what Boxwood Avenue is all about…literally and figuratively. If I’m being honest though, I often set my oatmeal to cook, then get started on some sort of sewing project, and 45 minutes later smell something burning. 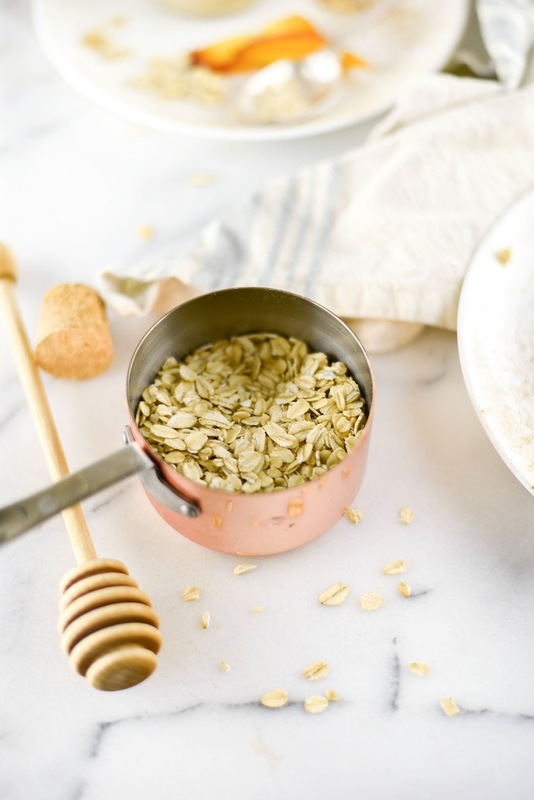 My mad dash into the kitchen is always pretty defeating when I find that my oatmeal has become a crispy pan crust that can only be removed with chemicals outlawed in most states. Sort of like microwaving your coffee for a third time, I generally end up cooking two breakfasts. 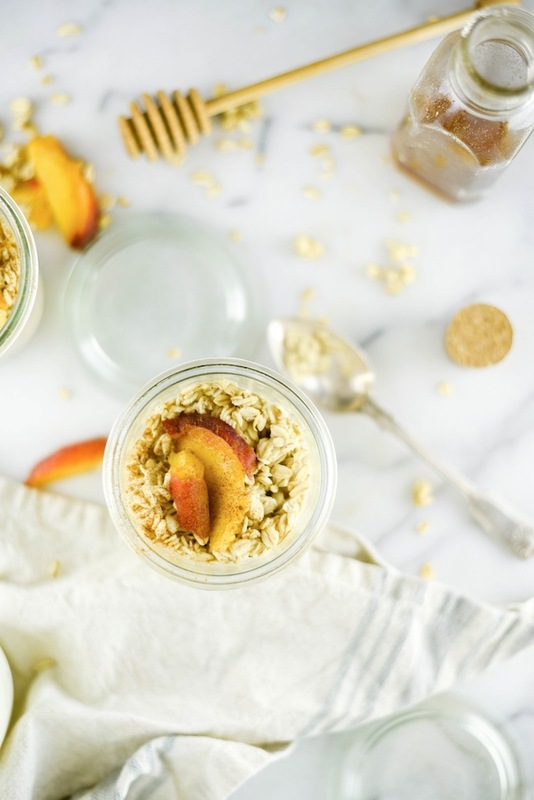 Overnight oats are no new invention, but when I discovered just how simple they are to make, it was a total game changer. I was oddly nervous going into it, how much milk do I need to add? Should I add water? What about coconut milk? But let me tell ya, you can add whatever kind of liquid you want, and the oatmeal will absorb it. I wouldn’t suggest something like chicken broth, but your breakfast cravings are no business of mine, more power to you! 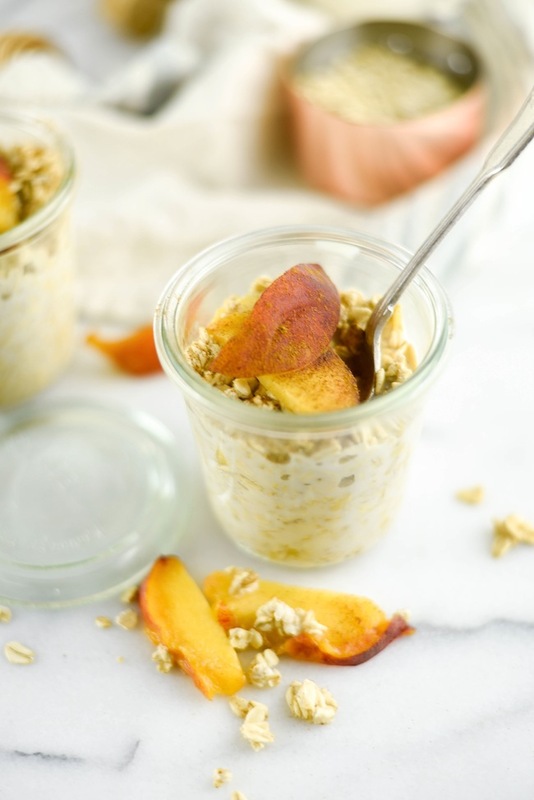 This is my new favorite breakfast: peaches & cream overnight oats. It’s like eating peach pie without the calories. Or if pie isn’t your thing, peach ice cream. 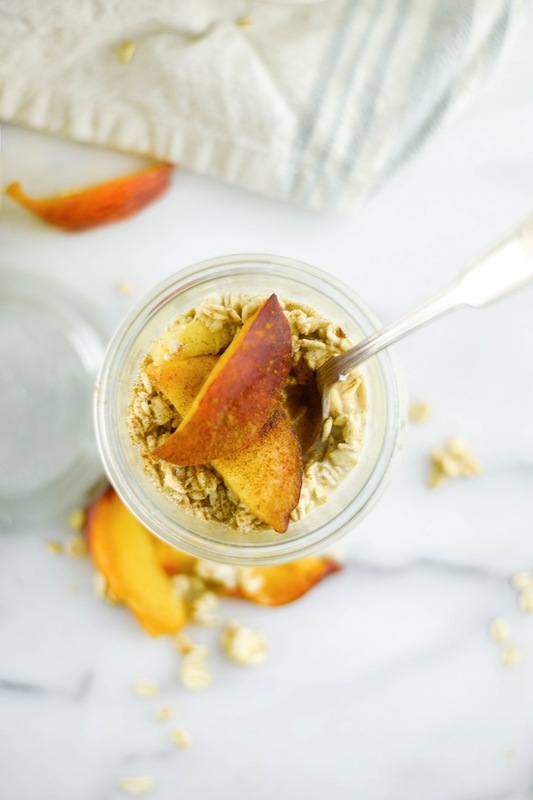 It’s everything sweet, chewy, peachy, all put into one healthy mason jar, and with about 450 calories, you don’t have to feel guilty about eating dessert for breakfast! Stir the ingredients together (or put the lid on and shake it up!). Add more milk if needed, the milk should come up to the top of the oats. Place in the refrigerator overnight! 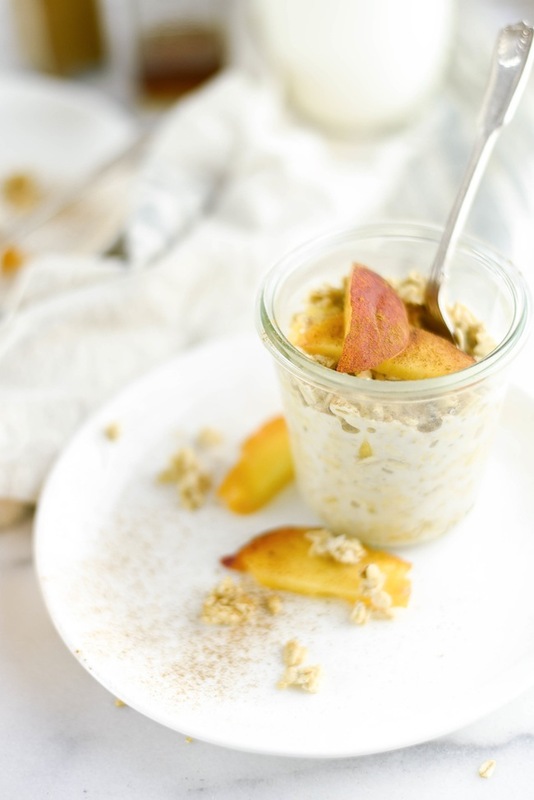 Take it out in the morning & enjoy right out of the jar! If you prefer a warm breakfast, you can heat it up in the microwave.